New Delhi, Dec 14: Expressing shock and disappointment over the Supreme Court on Friday dismissing their petition seeking a court monitored CBI probe into the Rafale deal, former Union Ministers Yashwant Sinha, Arun Shourie and advocate Prashant Bhushan said the verdict “neither addressed the documented facts nor dealt with their main prayer seeking an investigation into the deal to purchase the French fighter jets”. “The judgment does not even address the documented facts stated in our petition or even deal with our main prayer seeking an investigation. 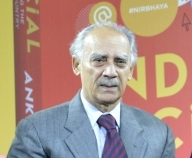 In fact some of the facts mentioned in the court judgment are not only not on record but are patently incorrect,” Sinha, Shourie and Bhushan said in a statement. Pointing out that no report by the Comptroller and Auditor General (CAG) on the Rafale deal had been submitted or examined, they said the judgment was “shocking” as it was based on completely false information about the CAG report and “disappointing”, that the court has taken a “conservative view of judicial review in cases of defence deal corruption involving high functionaries”. They said that the petition was based on facts which were all documented in their complaint to the CBI and claimed that some of the facts mentioned in the judgment “are not only not on record but are patently incorrect”. While the court in the verdict said that the “pricing details have been shared with the CAG, and the report of the CAG has been examined by the Public Accounts Committee (PAC)”, the petitioners claimed that “no portion of the CAG report has been placed before Parliament or placed in the public domain”. “That the court has relied on such communication which is factually incorrect on 3 counts shows how dangerous it is for the court to rely on statements made in a sealed cover (not subject to scrutiny or verification) and give its judgment on that basis,” they said. “The court has also mentioned that the chief of the Indian Air Force had communicated his reservation regarding the disclosure of the pricing details which would adversely affect national security. This alleged fact was also not on record and it is not understood as to where and how the court got this,” the former union ministers asked. “Were this to become the norm for subsequent judicial examination, wrong doers in control of governments would have a carte blanche. They could do what they want – as the Prime Minister (Modi) did in this instance – and then have it retrospectively rubber stamped by DAC,” the petitioners said. “The issue will continue to agitate the public mind until there is full public disclosure of all the facts and a comprehensive and independent investigation into the deal,” they added.